Customers of BT’s UK broadband products typically receive their email service at no extra cost, but if you want to retain this after leaving the ISP then you’d currently need to pay £5 per month for their Premium Email. Bad news though, on 22nd August 2018 that price will be hiked by 50% to £7.50. According to a brief statement on BT’s website (posted here): “From 22 August 2018, the price you pay for your BT Premium Mail account will be changing to £7.50 a month. We’re in the process of writing to everyone affected by this change so they have time to consider their options.” Sadly this does not explain the reasoning for BT’s hike. Leaving aside the fact this is more expensive than many dedicate email hosting solutions, which can provide better features, it almost feels like BT doesn’t want anybody using their premium email service. Equally those who have continued to use it after leaving may be somewhat of a captive market because changing address can involve a lot of administrative hassle, which the less technically minded will often pay to avoid. The news follows hot on the heels of the operator’s latest round of price hikes (here), which marked their second batch of increases in the space of a single year and will thus do little to improve customer sentiment or growth. Meanwhile those affected can always re-join BT’s broadband service or swap their email addresses to another user’s BT broadband account (you’d have to be very trusting of them). One thing on BT’s side is the fact that these days most consumers have wisely adopted free email solutions (e.g. Gmail, Hotmail etc.) and no longer tie themselves down to what a broadband ISP might offer. As a result we suspect that those who do use the Premium Mail service may reflect a dwindling number of subscribers (i.e. not enough to upset the ISP). On top of that it’s long been a bit unwise to expect that an email service would continue for free after you decide to leave an ISP, although many providers have allowed this but such services don’t always last (in the past we’ve seen them being pulled at fairly short notice). As such it’s always wise to avoid using the email provided by a broadband ISP. 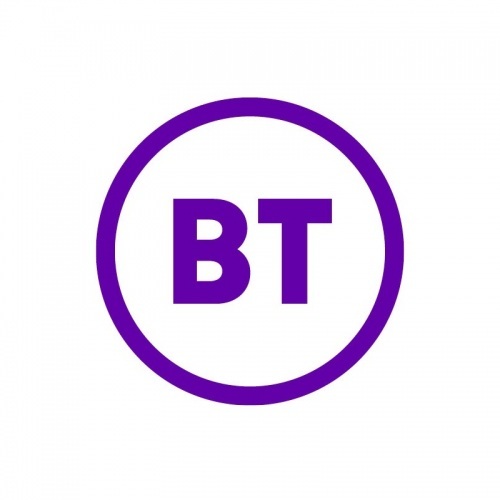 Nevertheless all these regular price hikes won’t be doing BT’s image any good, particularly since their broadband base actually declined by -3,000 in the last reported quarter. Agree, there is no point in tying yourself to your ISP for email, either take one of the great free ones, or buy your own domain and email service, there are some splendid ones out there. They give you a ‘free’ email address to tie you down, like you said, folk don’t like the hassle of changing their email addresses. So stay free people. stay free. Email was once the primary reason for on-line connection but with most broadband ISPs it is now a hidden extra. Nothing is free but if the email infrastructure is run correctly it can be provided at nominal cost to Email only customers. I would have thought that long term BT would wish to retain a relationship with their leaving customer. GDPR will prevent overt advertising of their services but simply logging into Email/bill via the web portal would remind them that BT still exists. I thought £5 was far too much and £7.50 (+ VAT) is extortionate. Caution changing though as not all Email offerings are the same. £7.50, i spose extorting the stupid is one way to make money. Have never ever used an isp based email address in my 20 years on the internet except for when we had AOL (our first isp). Been with gmail for years now (previously yahoo) and I have the old yahoo address forwarded to my gmail and it still works. Thanks for the tips Steven. 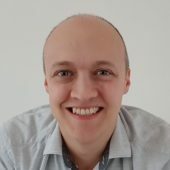 Can I ask the benefit of getting a domain/email and how I would go about doing this? Secondly, does outlook have any benefits over gmail? I tried to cancel this following the instructions on their e mail. And got told by the BT man in India that the e mail must be a phishing scam as they know nothing about a price rise to £7.50 pm. Even though it is on the BT website as I pointed out. Said I was just advising them I was cancelling my direct debit at the next payment as they charge a month behind. Was told to talk to a supervisor. I was ‘transferred’ and the line went dead. I will just cancel my direct debit as I have done my part and if they are too incompetent to do theirs that’s their problem. They don’t my business. I don’t want them. But making it absurdly hard to cancel is ridiculous.